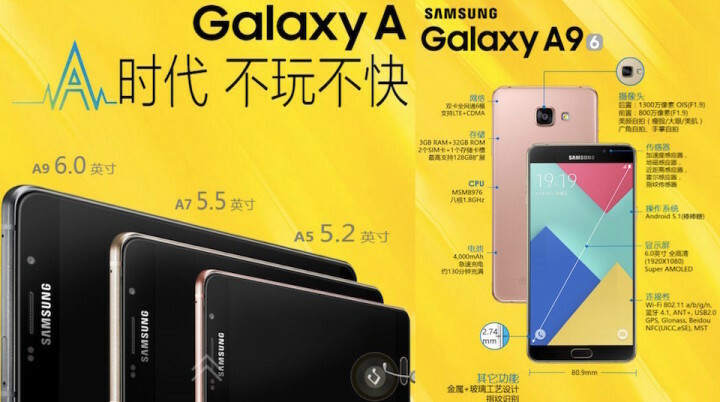 Samsung has officially announced the Galaxy A9 smartphone at its Galaxy A Party event. The Galaxy A9 features a large 6" Full HD AMOLED Display with a 2.5D curved glass and is powered by a massive 4000mAh battery. 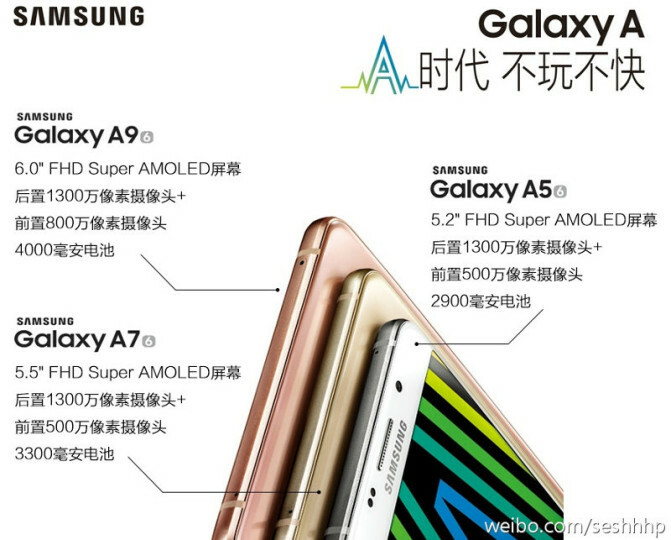 The Galaxy A9 features the largest capacity battery that Samsung has ever had on its smartphones. While the battery capacity of the Galaxy A9 might be far off from the 10000mAh battery if the Oukitel K1000, it's still a major feat coming from an established player. The Galaxy A9 shares the same design language with the other members of the Galaxy A series line, with a premium metal and glass. The Galaxy A9 also features a 8MP front camera in addition to a 13MP back camera. The 13 MP back camera comes with OIS and ƒ/1.9 aperture, which makes it more than just a decent snapper. The Galaxy A9 is powered by Qualcomm's 64bit Snapdragon 652 octa-core processor with 3GB of RAM for better multitasking. The internal memory maxs out at 32GB which can be expanded upto 128GB via the microSD card slot. 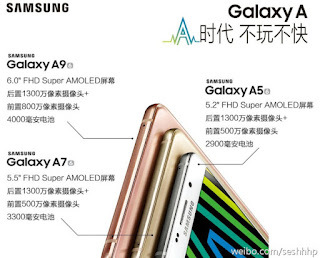 The Galaxy A9 also features a fingerprint sensor built into the home button. The Galaxy A9 will run Android Lollipop 5.1.1 out of the box when it is finally available for sale.